Steppin’ Out Adventures is offering a really cool trip to Tanzania for solo travelers – this is the last time this trip will be offered as a solo, before it becomes one of their family tours. 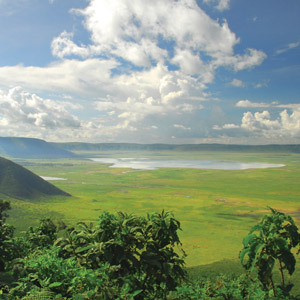 It’s ten days, from October 26 through November 4, and includes an absolutely incredible range of activities: game viewing in the Serengeti, a spa day in Ngorongoro, hiking, biking, visiting with members of the Hadzabe tribe and a lot more. There’s also an option to add in a climb to Mt. Kilimanjaro before or after the trip itself. This is an amazing opportunity to see a unique part of East Africa with a small group of likeminded people – check out this detailed intinerary and see just what it has to offer. Don’t forget to check the main website for all of Steppin’ Out’s current trips – they always have tons, to an incredibly diverse range of places. And for a hilarious and fascinating look at one Diva’s experience in Tanzania, read Kelly Patterson’s essay here.